Welcome back to the blog beautiful people and I trust y'all are doing fine. It's a collaboration post on the blog today with blogger babe Adaeze of STYLTITUDE yay! The last blogger collaboration I had was with Frank HERE in 2016 which was a really long time. The truth about collaborations is that the are not always easy and bloggers involved have to plan the best time for shooting, collaboration theme and also different work schedules. You wouldn't believe we have been planning this collaboration since mid last year but finally took pictures this month. 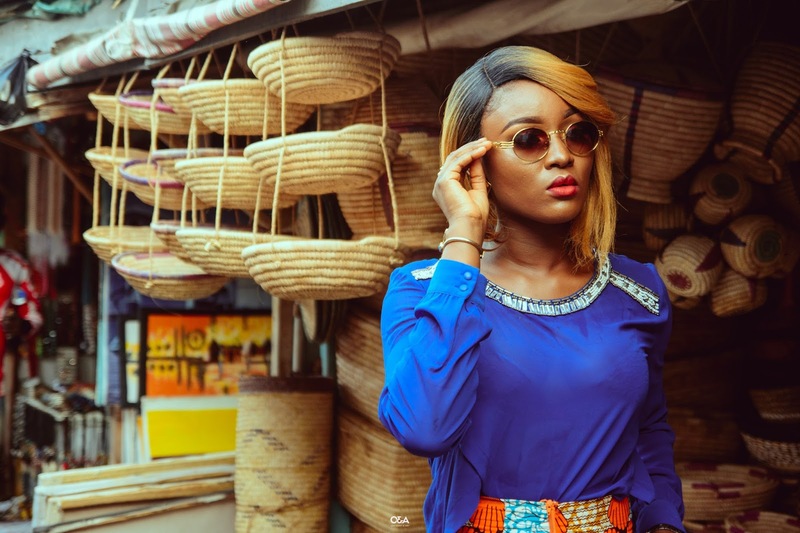 Adaeze is a Fashion & Lifestyle blogger and one of the few bloggers I relate with in Nigeria. She's beautiful and I love her style. She runs a vintage store HERE where you can find affordable and nice vintage pieces. So, we decided to style ankara for this collaboration and wanted it to be more african by shooting somewhere with arts, crafts and african pieces. Luckily for us, we made our research and settled for the popular Lekki Arts and Crafts Market which I think is also known as Jakande market. It's always great when creatives collaborate. In this case, our collab shows you two different ladies of of african descent showing you two ways to style ankara. I also believe in collaboration over competition. The blogosphere is big enough to contain all of us. For my look, I wanted my outfit to look really simple because I felt like working more with a lot of accessories and also mix prints. My dress designed by my friend EDEN was just simple and perfect for the idea in my head and I completed this look with another ankara print as a head wrap, my tassel earrings from SHOPMAJU, a necklace which was a gift from JUMIA and my upper arm bracelet making me look like a princess from Wakanda lol! *wakandaforever*. 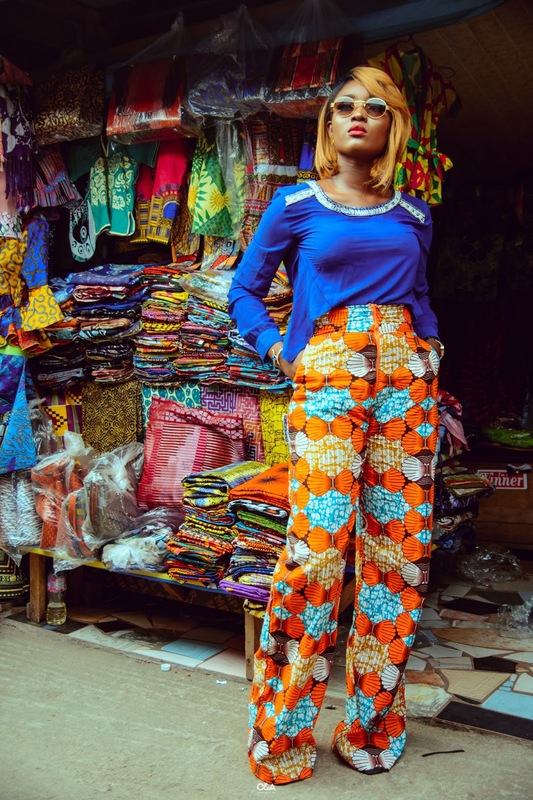 Ada styled her high waisted ankara pants with a blue chiffon top which was also a simple look and her hair added more color/ vibe to the outfit. In conclusion, I love the collaboration theme and y'all know how much I love ankara. I'm also really happy we finally collaborated. Photography: ZIMANNI he did justice to the pictures. Thanks for visiting guys and see y'all later. Cheers!! You both look good . Looking forward to collaborating with you when I’m in naija . I love your dress and Adaeze’s pants. Thanks gorgeous. Sure ill be more open to collaborate. Let me know when are here.